During the winter months, several staff members went back to Taiwan to celebrate the Lunar New Year and to spend time with family and friends. Without them, the preparation work for the conference slowed down considerably. Two members have now returned and ready to move forward. The third will not be back until April; we agree to communicate with using Line or email if needed..
We set the clock one hour ahead to the daylight-saving time few days ago; performing this ritual reminds me of the arrival of Spring. With the coming of Spring, birds start to sing, abd plants begin to sprout and put forth buds and fresh leaves. 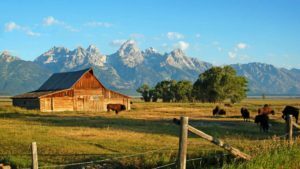 Spring gives us vitality, and this will certainly propel the conference organization group to move forward and set the preparation steps in gear to make it ready for the conference to smoothly take place in July. I would like to inform the work we have done since Announcement No. 2 was sent. 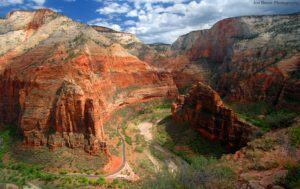 Tom Yu (TAC-WC member living in Arizona) has set up a website for 2019 TAC-WC: http://tac-wc.org. The website allows us to post and retrieve conference information, to do online registration, and keep track of registration payments, …etc. In addition to posting this announcement (Announcement No. 3), I shall also run it through www.TaiwanUS.net. We thank Martin Tsai, Editor of TaiwanUS.net for providing us the service. In order not to further encumber Martin, we shall post subsequent announcements on our website. It is thus important for the members to login the website to receive new information. Conference Speakers: Ed Huang (Board member representing the San Francisco/Bay Area) serves as chairman for inviting speakers. Realizing the need for passing the baton to the new generation of Taiwanese Americans, Ed places equal weight on selecting generation 1 (G-1) and generation 2 (G-2) speakers at this conference. We have now three G-1 speakers accepted the invitation. They are Josephine Yang (黃河芬 FAPA President of the Southern California Chapter) 洪英花 (well known Judge from Taiwan); Martin Tsai (Editor of TaiwanmUS.net); to complete the G-1 speaker list , we are still searching for the keynote speaker. With the help of Yamei Lee (a former president of NATWA, North American Taiwanese Women Association), five young people with outstanding credentials have accepted the invitations as G-2 speakers and moderators. Their names are: Cecilia Chueh, Chieh-Ting Yeh, Lily Wang, Julie Wu, Deana Chuang, Chris Lin. The short bios of all speakers will be posted on the website. The TAC-WC 2019 has organized two post-conference tours. Those tours are very popular. 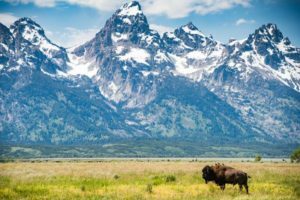 The northbound tour from Salt Lake City to Grand Teton and Yellowstone National Parks is now full. 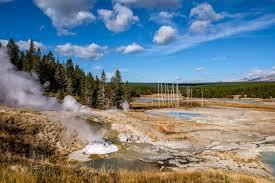 The southbound tour to five NP in Southern Utah is still available but the bus seat is also filling up fast. The hotel cost of the southbound tour is rather reasonable compared with that of northbound. The price for staying at the La Quinta Inn & Suites in Moab [Telephone Number: 435-259-8700 or 1-866-527-1498; address: 815 South Main St., Moab, UT 84532], where the group shall stay on the evening of 7/21 has been renegotiated for the group rate of $154/room/night, including breakfast, not $165/room/night previously quoted in Announcement No.2. 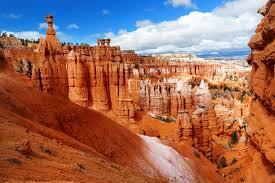 For 7/22 and 7/23 the group will stay at Abbey Inn, Cedar City (address: 940 W 200 N, Cedar City, UT 84720. Tel : 435-586-9966), with the group rate only of $110/room/night, breakfast included. Please mention that you are with the group TAC-WC when you call to book the rooms to receive the group discount rates for both hotels. Both tours last for five days, with the last day (7/25) to tour Salt Lake City. The City tour is originally scheduled to complete at 5 PM for both buses. 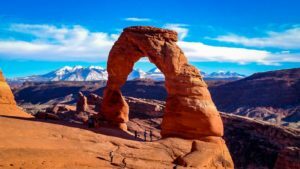 In order to make it convenient for those who plan to leave Utah on 7/25, we plan to have one bus ends the tour at the airport at about 3PM, and the other bus will stop at the guesthouse at about 5PM for the members who plan to overnight on 7/25. Hope this will help the planning on purchasing the return airline tickets. After you exit the airport security area in Terminal 1, turn left (right side leads you to the luggage claim area) and walk all the way to the South end of Terminal 1 (passing United, Southwest Airlines check-in counters). 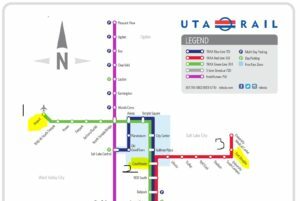 Then exit through glass doors to an area where two automated UTA Trax (light rail) ticket boot stands are. (see map location marked as 1). Purchase the ticket (one Trax fare per ride for seniors is $1.25) and take the Green line train to Courthouse (see map location marked as 2). Get off the Courthouse and wait for the Red line train across the platform to the Fort Douglas stop (see map location marked as 3) . Relevant red line stops are Library,Trolley. Stadium, which are the two stops before Fort Douglas, andUniversity Medical Center is the last stop. Get off at the Fort Douglas stop. On the right side of the platform, you will see a sky bridge. Walk toward the elevator below the bridge and take the elevator upstairs connected to the head of the bridge. Walk across the bridge to the other side and then follow the sign to the University Guesthouse, walking along sidewalks (bear left). The total time from the trax platform to the Guesthouse should be around 5 minutes. Going by Trax is the safest and cheapest way from the Airport to the University Guesthouse. An alternative way is to go by taxi, which costs about $40-$45 plus tip. Taxi takes about 30-35 minutes during non-rush hour with normal traffics. 由於北線在夏季極為熱門,飯店一房難求,即使有住房,房價也是三倍於平日。北線 規劃在 Jackson 住兩夜 (7/21&22) 、黃石國家公園住一夜 (7/23) ,主辦單位費盡九牛二虎 之力為 鄉 親爭取到優惠房價, 但此優惠房價僅到一月底 (2019 年 ) 截止。擬參加北線旅 遊的鄉 親請務必於 1/31 前打電話去完成訂房 ! 7/25 為 SLC 一日遊。The City tour is over at 3 PM. 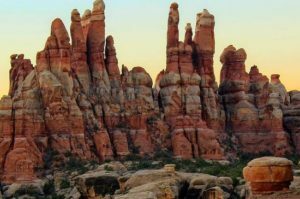 July 22: 遊 Canyonland NP and Capital Reef NP. July 25: 巴士將有 Salt Lake City 一日遊. The City tour is over at 3 PM. *As of 1/26/2019, the Northbound tour has only 4 spaces left. **Identify yourselves as members of TAC-WC, ask for the group rate of $154, if 75% of the reserved 25 rooms are filled before March 31 (Reservation Block confirmation number 08262398). 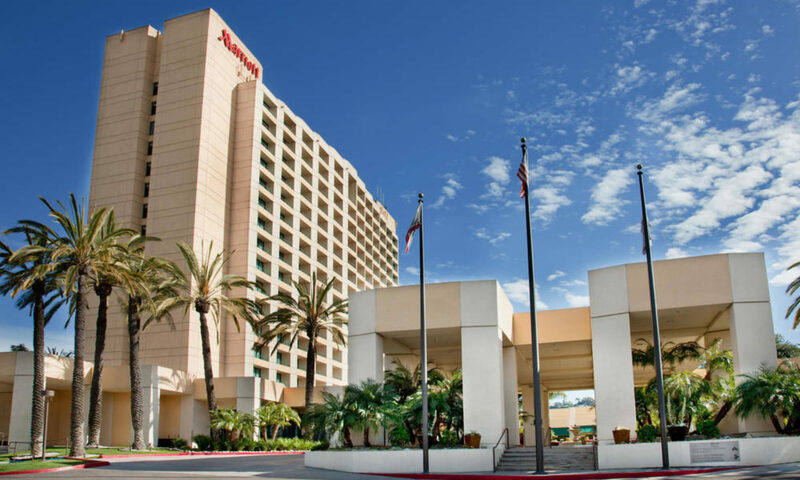 *** Pay only the group rate of $110 plus tax if the reserved 25 rooms are filled before March 31. 4:30 pm 自 Coast Harbour Hotel 嚮導前往 Harbour Cruises.